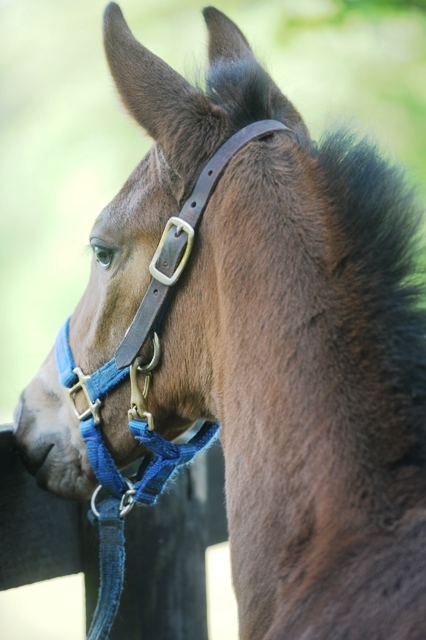 Hunter’s Rest offers a small but elite breeding program that includes homebred (and home-raised, home-trained and home-schooled) foals from excellent Thoroughbred lines, Cleveland Bay and Irish Draught horse stallions. 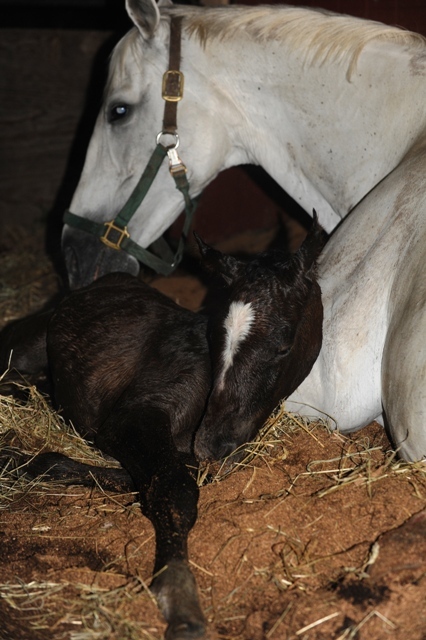 Thoroughbred sport horses, both for racing and for other disciplines, are a Hunter’s Rest specialty. 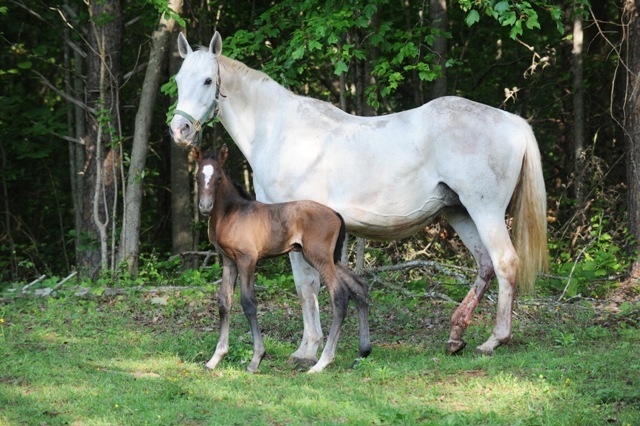 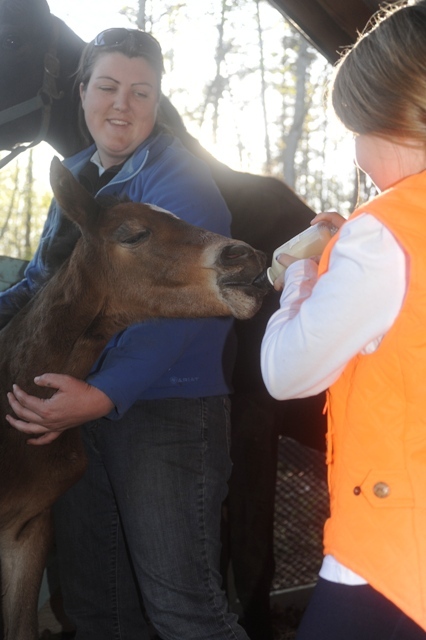 Horse showing for all Hunter’s Rest horses – here a young homebred Thoroughbred – ensures that they are well-rounded and experienced. 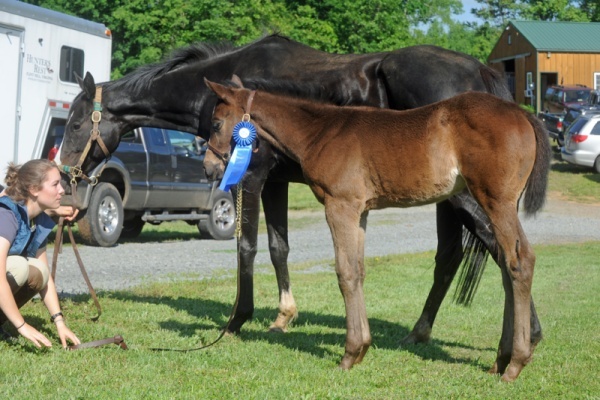 Here, farm homebred Nickelodeon (and her mother, Red Headed Girl) pause after a big win at a local horse show. 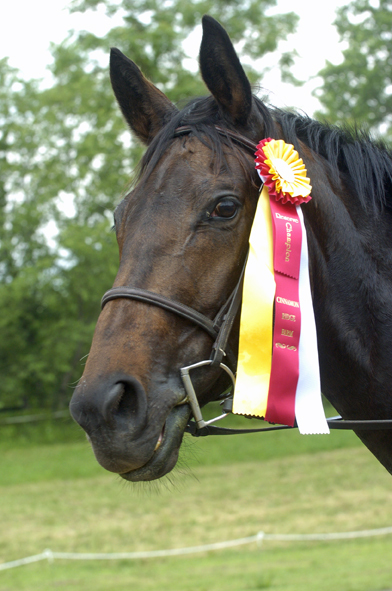 Nikki has won many prizes “on the line", showing her good conformation and exemplary behavior. 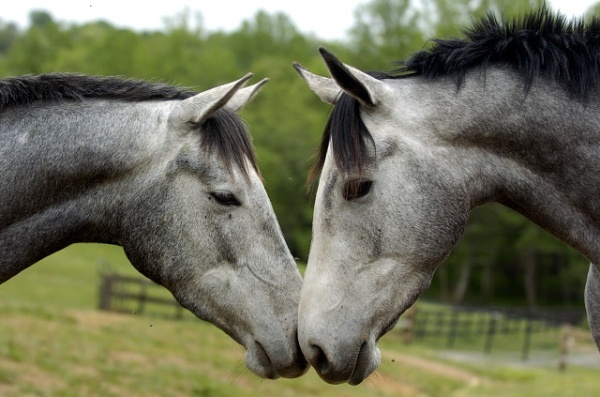 By handling young horses from the very beginning, Hunter’s Rest management is able to ensure they mature into willing, confident partners for a lifetime of friendship.